Netflix has removed from its streaming service in Saudi Arabia an episode of a satirical comedy that was critical of the kingdom’s rulers. 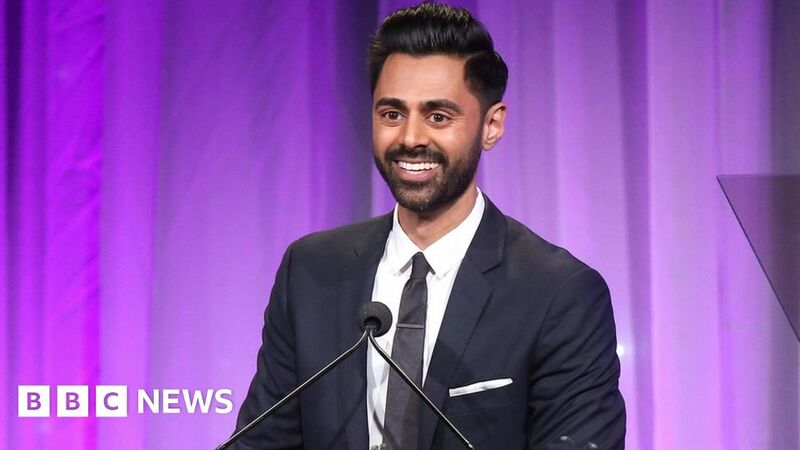 The second episode of Patriot Act, with US comedian Hasan Minhaj, was removed following an official complaint that it had violated Saudi anti-cybercrime law. Netflix confirmed the move to the UK’s Financial Times (FT) newspaper. It said that it strongly supported artistic freedom but had to comply with local law. In the episode that was removed, Minhaj criticises Crown Prince Mohammed Bin Salman over the killing of journalist Jamal Khashoggi in the Saudi consulate in Istanbul in October. Khashoggi was an outspoken critic of the Saudi royal family and his articles in the Washington Post had been particularly critical of the crown prince. Riyadh has charged 11 people with the murder but strongly denies that the crown prince was involved. In the episode, Minhaj also criticises Saudi involvement in the conflict in Yemen. Netflix confirmed it had removed the episode last week following a request from the kingdom’s Communications and Information Technology Commission, the FT reported. Khashoggi’s editor at The Washington Post, Karen Attiah, tweeted that the decision was “quite outrageous”. Khashoggi worked as an adviser to the Saudi royal family until he left more than a year ago amid a clampdown on press freedom.